Captivating your audience in sales is an art as much as it is a science. Enter, sales stories. Tell a story by email (and see if they click and read it). The persuasive force of stories has been well documented. A series of experiments performed by neuroeconomics pioneer Paul Zak found that stories that are highly engaging and contain key elements — including a climax and denouement — that can elicit powerful empathic responses by triggering the release of Oxytocin. Often referred to as the “trust hormone,” this neurochemical promotes connection and encourages people to feel empathy. When released in the brain of your prospect it can help to build trust in your brand or product, and in doing so increase sales. In a nutshell, a killer story is full of visual and sense-based detail—and moves in real time. I like to call it “making a movie with words.” It engages the recipient in a special way. To hone your own storytelling skills, consider the following advice from the experts. That is: Combine compelling facts with attractive sales stories, and you’ve got a winning recipe to increase sales. Here, Jantsch says he’s benefitted from the research of psychology professor Michael Gazzaniga, director for the SAGE Center for the Study of Mind at the University of California Santa Barbara. 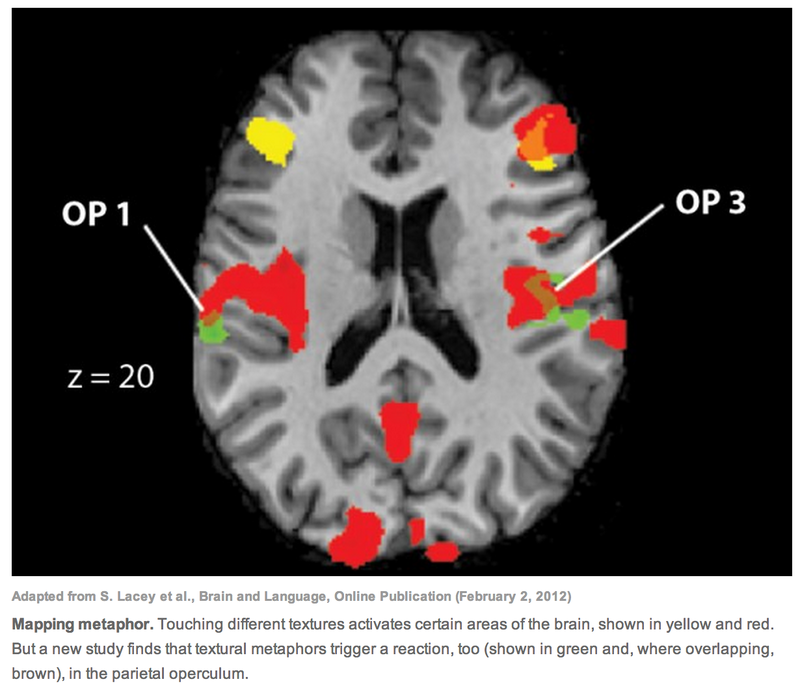 His work shows that stories in presentations help sync the left and right hemispheres of our brain. Metaphors help our brains experience a story, as if we were living it ourselves. Listening to a powerpoint presentation where a presenter is dutifully reading off bullet points, for example, will activate the language processing parts of your brain, where you decode words into meaning. That’s it, nothing else happens. But things change dramatically when you’re listening to a story. Researchers in Spain found that not only are the language processing parts of our brain activated, other areas of the brain what we would use if actually experiencing the events of the story light up too. Learn the art + science of sales prospecting with a 7-day course. So how does my story of writing this blog end? That’s not worth a hoot. Here’s the golden coin: Find your story. Write it. Hone it to perfection by rewriting it. Run it by an ally. Now, commit it to memory. Connect it to your product or service and make it personal, not contrived. Then tell it. And see what a difference it makes.